Contact us today to find out what started dogs or puppies we have available. 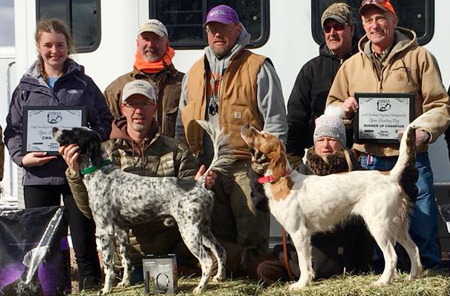 Click here to read a few success stories from Dale Creek Gundogs. 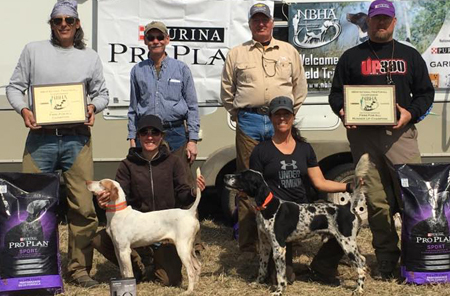 Our goal is to produce a well-rounded, quality gundog that has been exposed to many real life hunting situations. This ensures that the owner and his/her dog will have a successful working relationship. We tend to have dogs available that are not listed on the site. Best American Water Spaniel Breeder Award." "Vetary has analyzed top American Water Spaniel breeders and cross referenced positive social mention data with top analytics platforms. Your site was a clear winner with U.S. pet owners over the last 12 months. 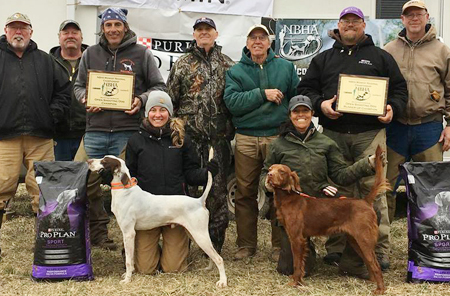 For context, Vetary awards breeders with best-in-class online buzz, content, visuals, and most importantly, a strong cause and devotion toward their breed of dogs." Dale Creek Gundogs is located near Burlington, Wisconsin on a 90 acre parcel of land. The kennel is a short drive from Chicago, Milwaukee, Madison and Rockford.